Because really, Sarah? To insult Democrats as “too stupid to understand Trump’s taxes” not only tells me you have literally no idea about the composition of Congress? But it also tells me that some half-decent attorney who works in the White House Counsel’s office (William Barr’s son, perhaps? Who was quietly hired right after Barr’s confirmation hearings?) told you what the relevant provisions of the U.S. Tax Code say – that they include the word “SHALL” – and you’re hella nervous because even if you don’t know any other words you know what THAT one means. 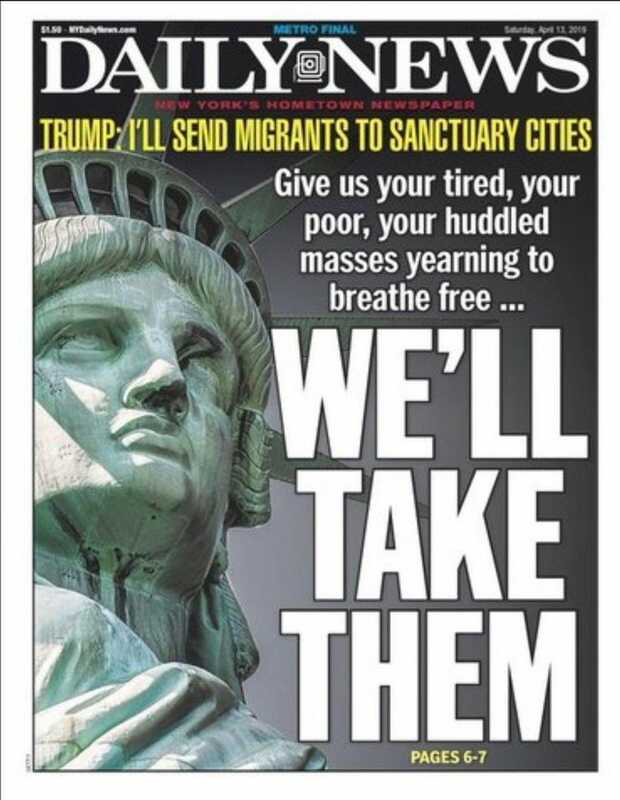 Additionally, bodega owners in NYC are fighting the Murdoch xenophobia & propaganda virus (that Ronnie Raygun quietly let in here at the same time he quietly let the Fairness Doctrine lapse so as few people as possible would pay attention to what that meant), and which we should all be doing from wherever we are, because there’s a correlation between the endlessly racist press in the media outlets the Murdoch Family owns and the rise of white nationalist terroristic violence in the UK and current or former UK territories, and we should notice that Murdoch was the money behind Roger Ailes’ Faux Noise, and the corresponding uptick in white nationalist domestic terrorism here, just like we should notice that there are the same Russian billionaires behind #TRE45ON and BREXIT (and you can’t find any of that out from a Murdoch-owned media outlet). Not Canada, though – because they know better than to let Faux Noise and its ilk stoke & exacerbate the problems they already have with white nationalist violence there. I’m sure everybody here is connecting the dots … as well as beginning to suss out that there is more than one effective way to push back. I remain encouraged. I’m an optimist. ETA: Can’t believe the irony – speaking of connecting dots - of just having published this at the same time there’s breaking news that days after Richard Engel profiled Steve Bannon attacking the current Pope after we know he’s been trawling around Europe stirring up white nationalism and Marine LePen is the face of it, the spires of Notre Dame have collapsed in a fire (just as those 6 historically black churches in Louisiana were burned to the ground and the suspect who’s been captured turned out to be the white son of a white local deputy sheriff. As per 12 hours ago, those suspects have been charged with hate crimes. ). What I think I know for sure, to paraphrase Oprah, is that these white nationalists only seem to know how to destroy. Never to create. History has already borne that out multiple times. Statement from the Council of Bishops says “we will rebuild”.